My Advent and Lent devotional books have been on a set theme, following a set topic. Fairly easy, as such things go. But then I had an idea: wouldn't it be "fun" to write a longer book? I knew it'd be challenging, but something to do... some day. This fall, it occurred to me again. Instead of just a vaguely "long" devotional book, I decided to do it for the whole year! Yep. After dwelling on it awhile, and writing two Advent books at the same time, I came up with the plan. 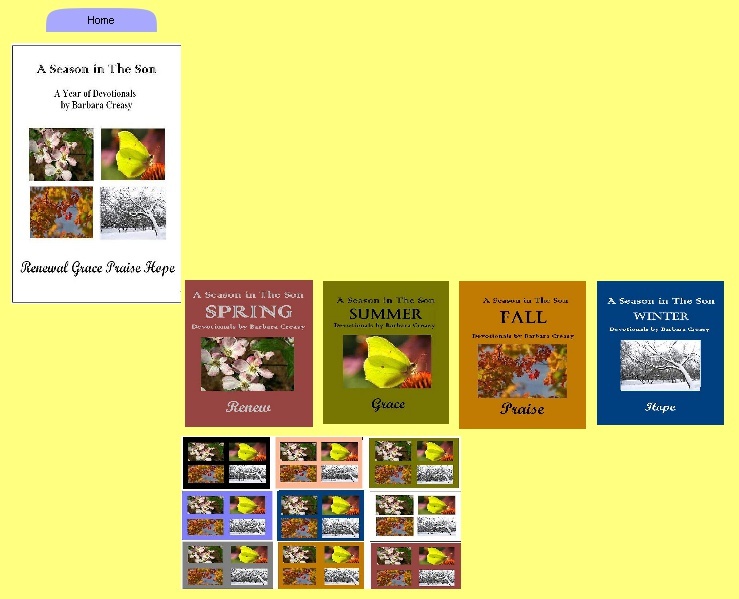 There will be 4 books, one for each season. Each has a general theme, yet the daily devotionals cover a variety of topics because it's real life! It was hard getting it all set up, but once I figured out a system and format, the writing moved along. Originally, I wanted to have the first one ready to release for Spring 2012. This could be done, but it'd be a serious time crunch. Following that, the Summer book would also be pressured. I decided to tentatively release the first of the set Summer 2012. This allows me more time to prepare and make it the way I want. And if it's not until Fall, okay . I've been playing with ideas for how I want it to look. Some of it is set, but there are a few details left to decide, such as color. 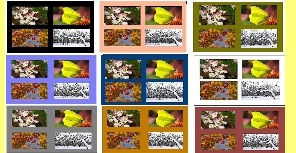 Every book in the series will be the same color for uniformity. If you'd like, you can share ideas and suggestions! Click here to see all the choices!